Something we often observe is that many womens magnetic bracelets often look too masculine and those magnetic bracelets which do look good just aren’t as effective as the mens. 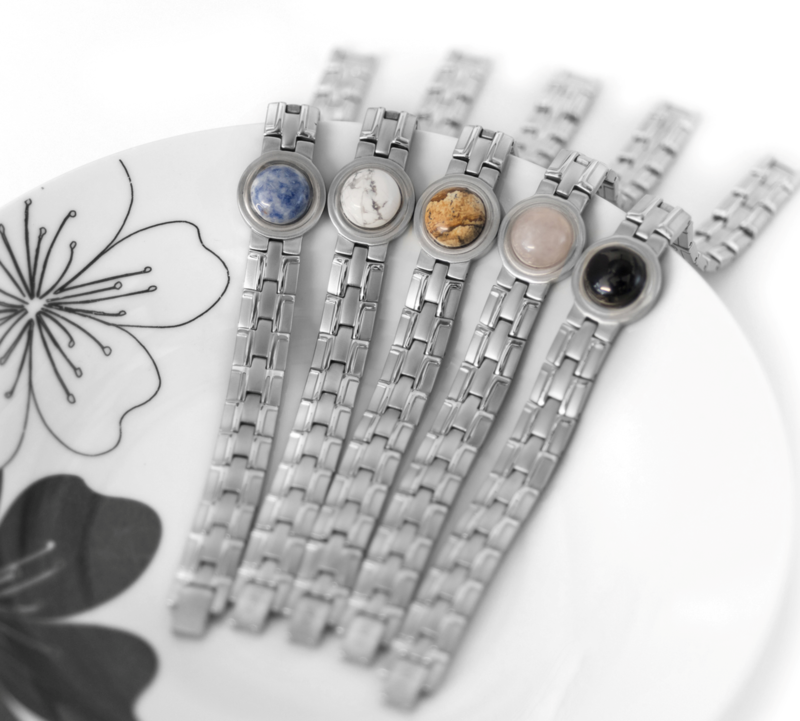 The ‘Orbit’ range of ladies magnetic bracelets has been designed with maximum performance in mind while looking stylish and elegant to wear at the same time. So whether you are buying magnetic jewellery for pain relief or for an existing condition such as arthritis, you won’t have to compromise on looks or effectiveness. Our magnetic healing jewellery features a choice of stunning cabochon gemstones in the centre, a first for women’s magnetic bracelets and available exclusively from BrodPod, ensuring your magnetic bracelet is one you’ll love.